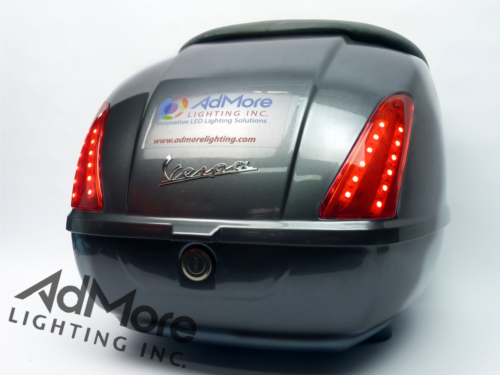 KAWASAKI 47L TOP CASE - LED KIT (TS) - AdMore Lighting Inc. Earn up to 770 Points. 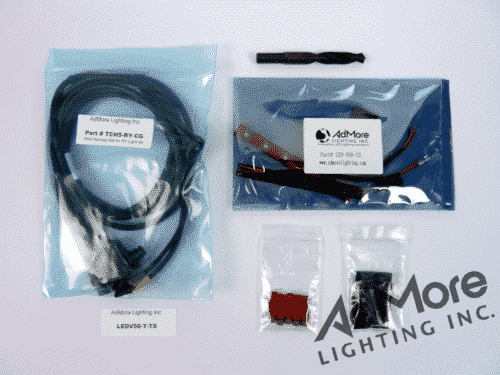 The AdMore Light Kit for the 47L Kawasaki top case. Enhance your visibility! 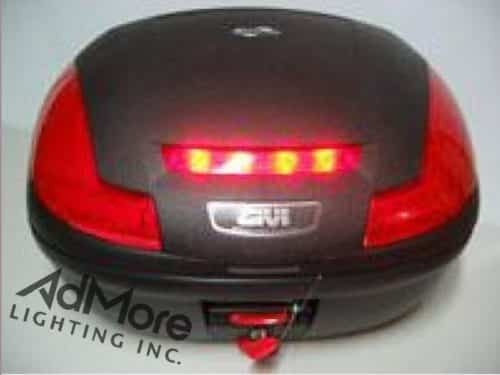 Make sure that you’re seen with this light kit installed in your 47L Kawasaki top case! 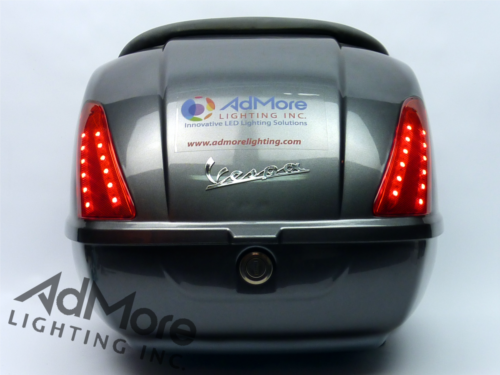 The AdMore LED470-KAW-T-TS Light Kit significantly increases your visibility on the road by providing brake light, tail light and turn signal functionality. 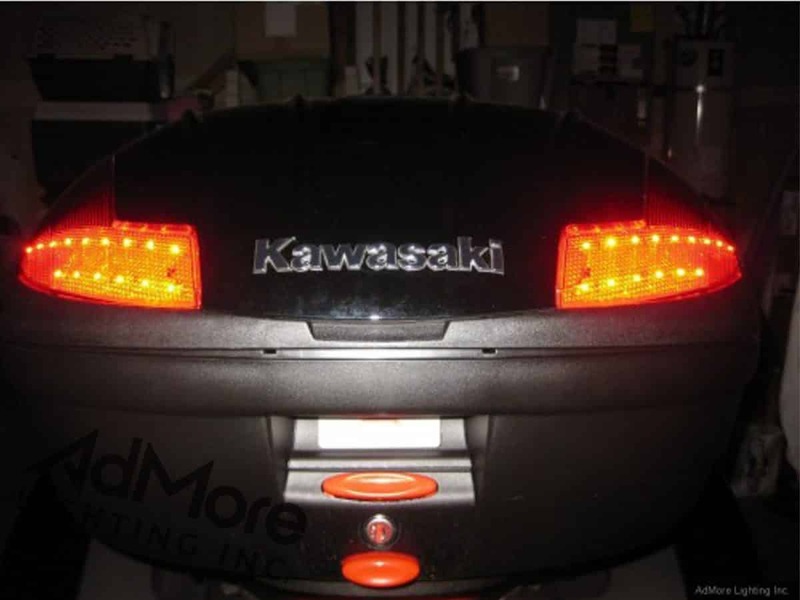 The LED470-KAW-T-TS light kit has been custom designed to fit the 47L Kawasaki topcase. 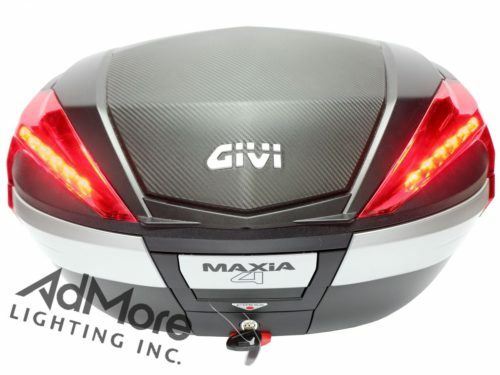 Each kit contains two high intensity LED light panels that fit perfectly behind the lenses of the top case to give you and your bike great wrap-around visibility! 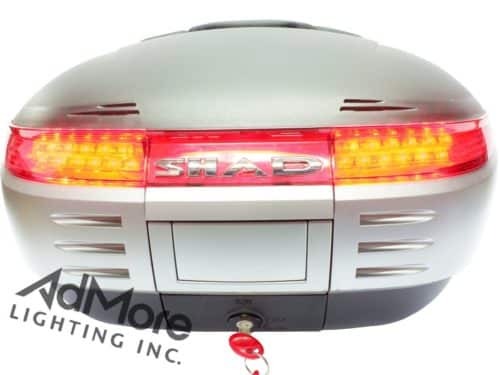 You will not ride unnoticed with this light kit installed in your Kawasaki top case! Please note: The adapter option is for the Kawasaki Concours 1400 only! 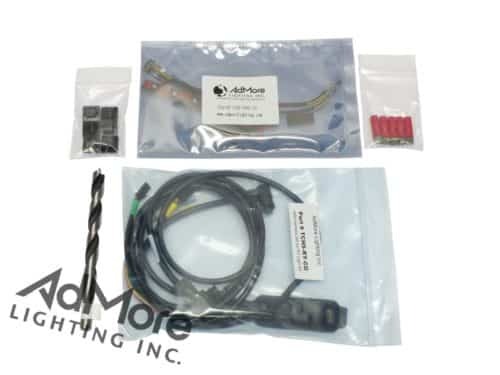 If you do not have this motorcycle please do not order this optional adapter. For all other motorcycles, please choose the “Standard” harness from the option list. Awesome kit, although wire leads could be 2 or 3 in longer for more routing options on the top lid. 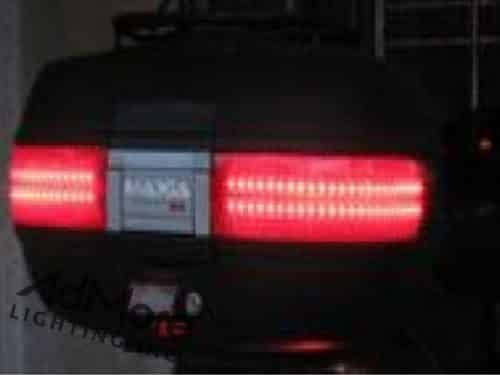 Major improvement on the Kawasaki Concours trunk with more visibility. Great products. Very pleased with the top and side case kits I’ve installed on my 2014 concours 14. Thanks so much for the awesome product and customer service !